Ok, I know I'm way late to the game on this one. 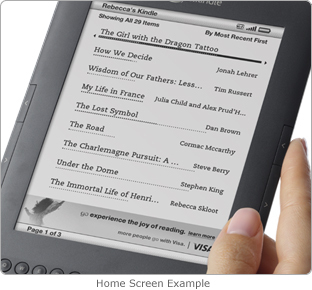 Amazon's Kindle with Special Offers has been on the market for several weeks (months?) but as any of my regular followers will note, I've been living under a rock made of work lately and have been missing out on all the bookish conversation surrounding such things as the release of the Kindle with Special Offers. And let me tell you, from what Amazon is saying, this thing is a real gem. Now you can get a Kindle for less money and receive special offers shipped directly to your device! It's like, win-win, right? Totally... for Amazon. First off, these aren't "special offers." They are ads. Sure, ads often include "special offers" (i.e. Click here for 10% coupon! or Find out how to make thousands as a stay-at-home mom! ), but those are merely hooks to get customers to click through. So. Special offer = ad. Sponsored screensaver = ad. Hell, we're already smacking advertising on school lockers, state license plates, and yes, even sheep... why not books, too, right? But maybe there's a side to this I'm not seeing, in my stubborn refusal to a) like the Kindle and b) like the concept of putting ads anywhere near my reading materials (this from someone who works in advertising, too). Let me know what you think. I'm sure there's flip side here. 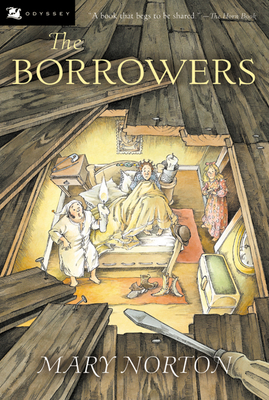 Does anyone else remember The Borrowers, that darling book in which little people live in the walls of a house and borrow items from the owners? I'd say it offers a perfectly plausible explanation for all those items that seem to disappear from my house for no apparent reason: an earring back, one sock, the tweezers, that rubber band band you know you left on your desk. Seriously, borrowers. Where is my rubber band ball? 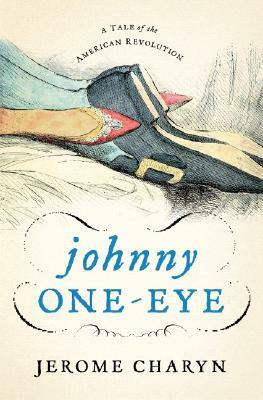 I loved this book when I was a kid, and I vaguely remember loving the 1997 movie version featuring John Goodman. And now BBC is bringing the stories to the little screen with a 90-minute adaptation of The Borrowers set to air this Christmas season. Who's excited!? National Amusements, "a motion picture exhibition company," has announced its 13th summer of Bookworm Wednesdays, a program designed to promote summer reading for children by rewarding them (and their parents) with free movies every Wednesday at 10 throughout the summer. 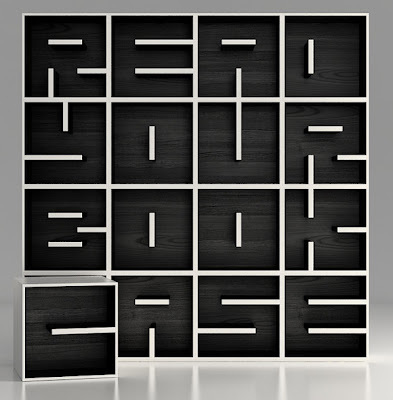 Children are required to present a book report on what they have been reading. If they are not at the reading/writing age, they are encouraged to draw a picture about a book that an adult has recently read to them. Part of me loves this idea; after all, it is promoting summer reading (as well as writing about said reading), and demonstrating to kids that there is a reward for this reading. 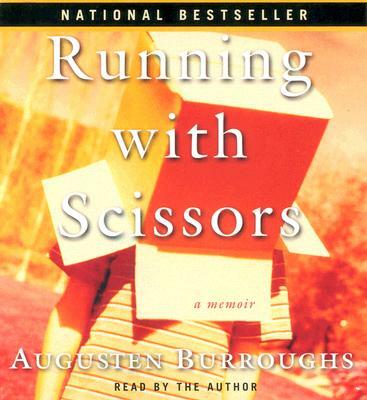 But another part of me (albeit a small part) balks a bit at rewarding reading with a movie. Not that I don't love movies, and recognize that kids love movies, but it seems like a fine line between encouraging reading as a habit and promoting the idea that once you get your reading done, you can move onto to the really fun things in life (like movies). Maybe I'm being overly critical. And like I said, it's only a small part. And I should add that I do not have children and I naively insist on believing that the future little McHughs that run around my house will like to read more than anything else, so I've never faced the issue of encouraging children to read first-hand. I'd like to see what you all think.